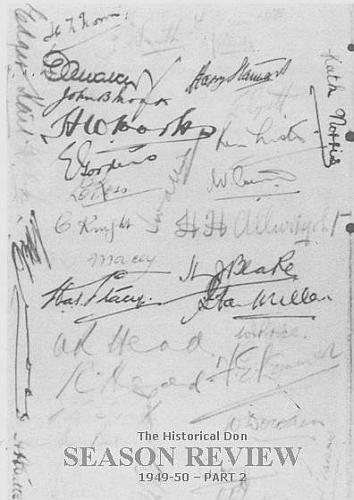 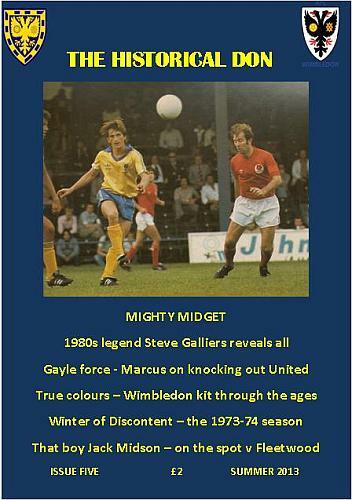 Note: This page is currently a work in progress. 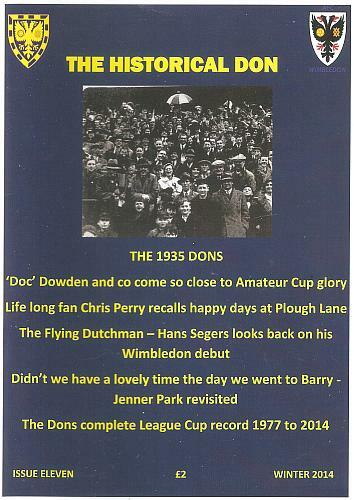 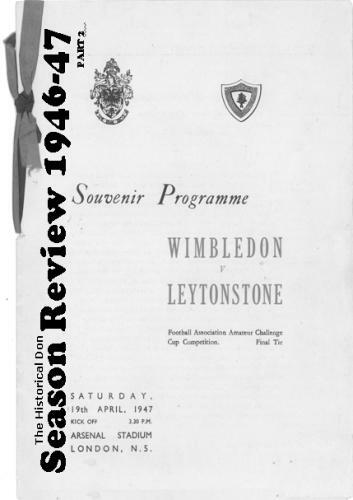 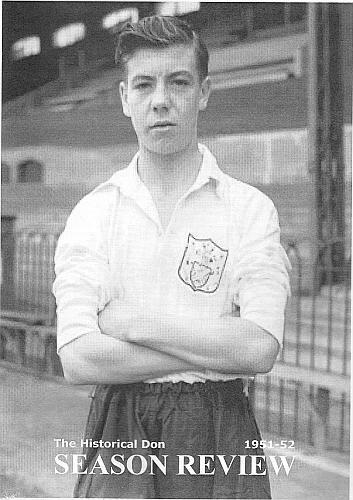 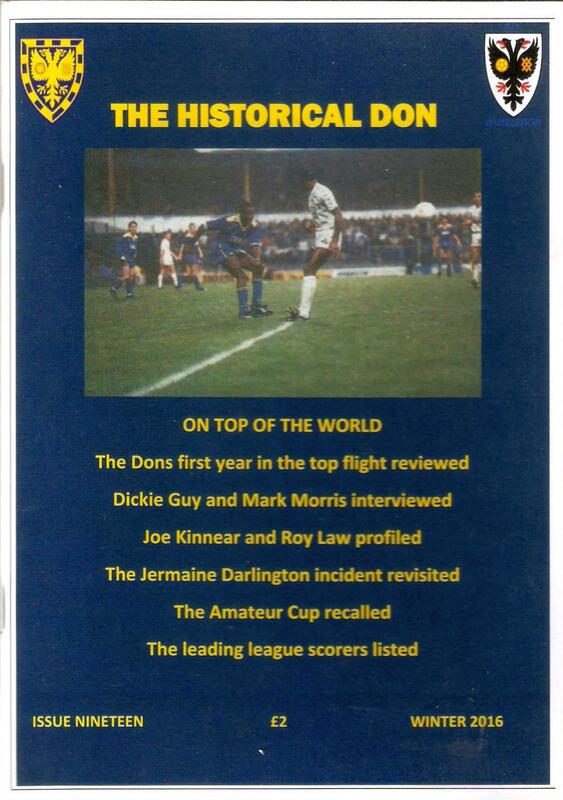 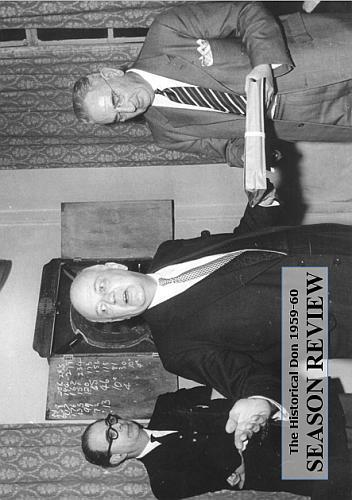 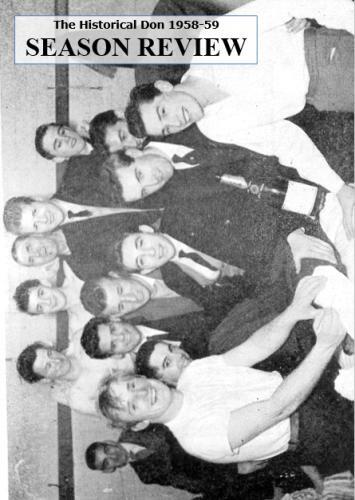 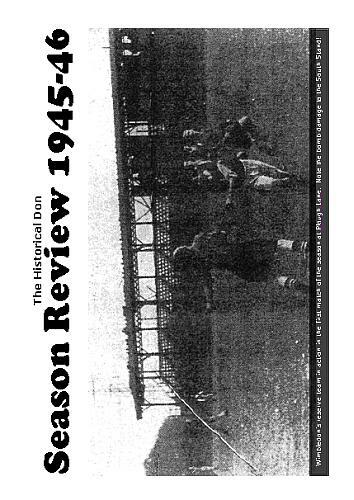 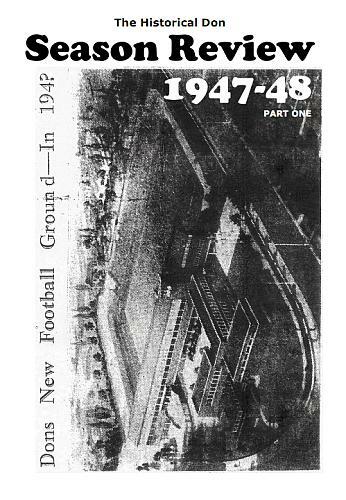 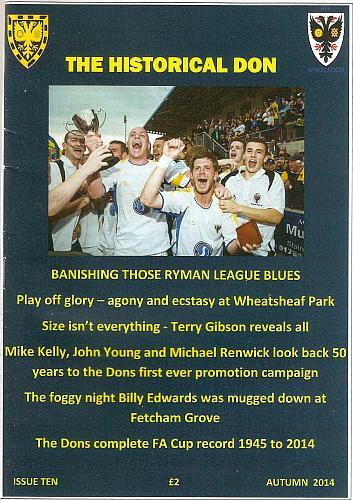 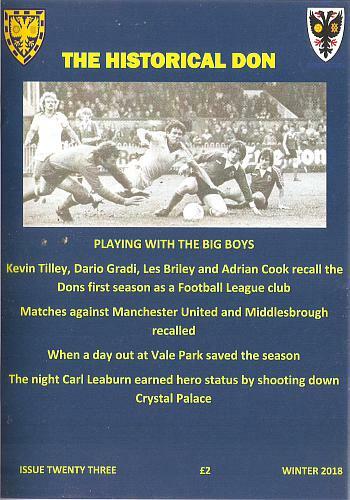 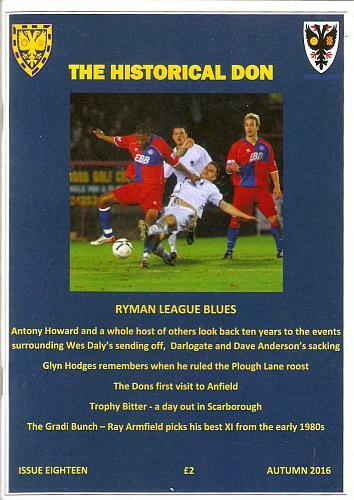 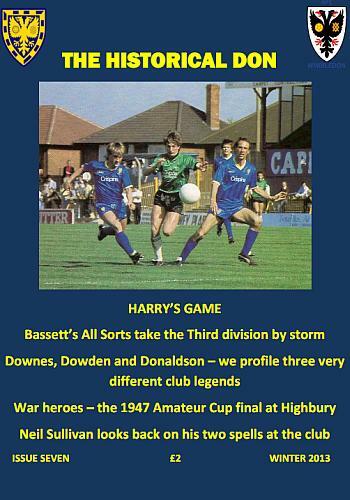 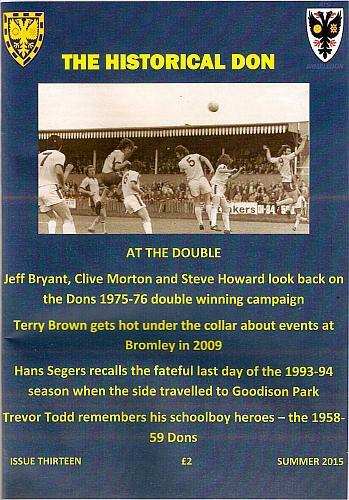 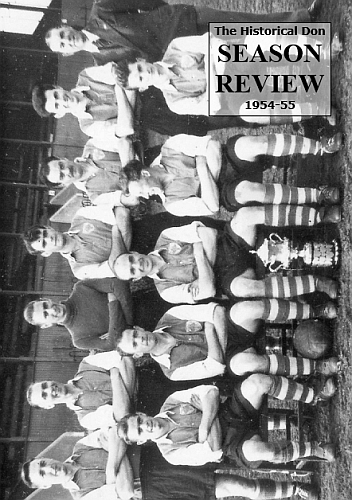 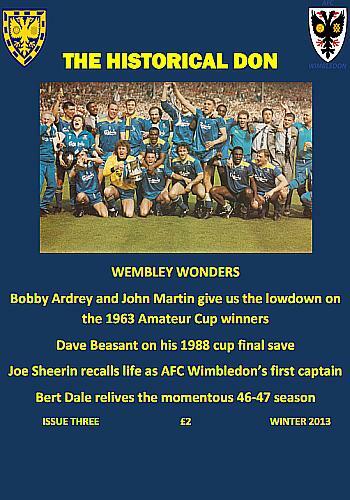 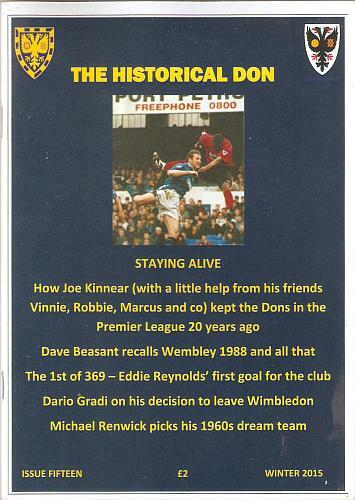 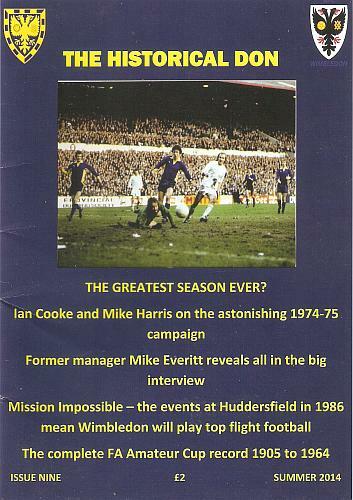 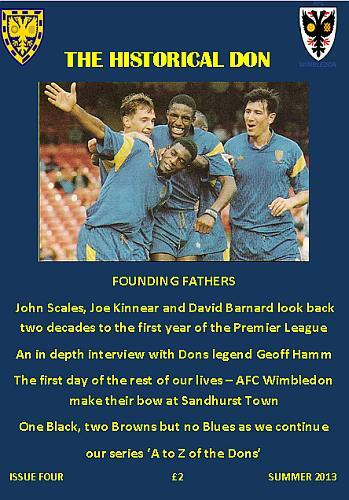 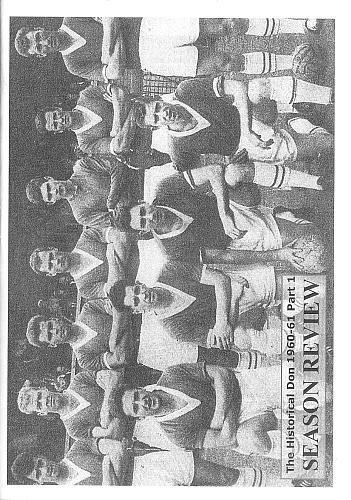 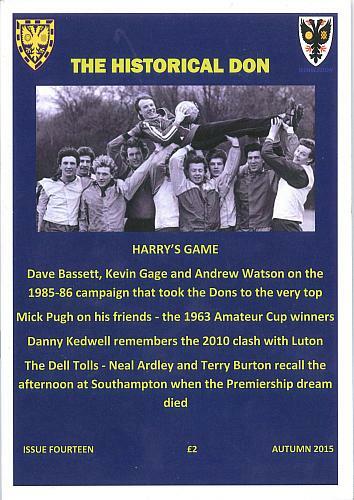 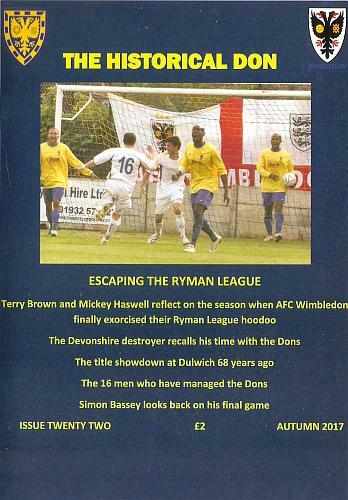 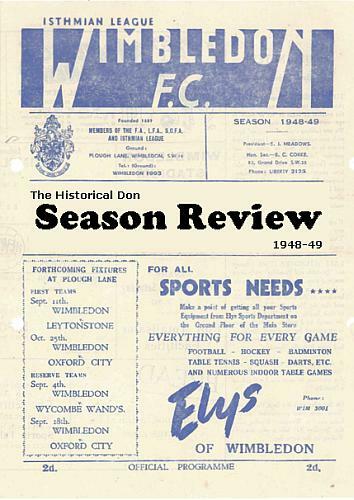 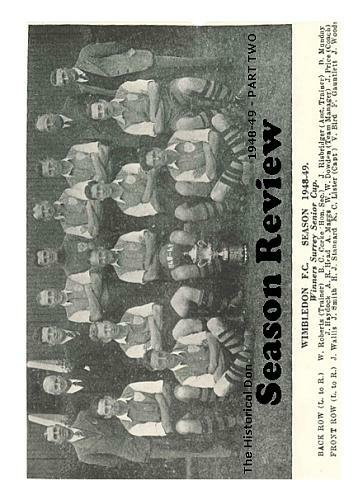 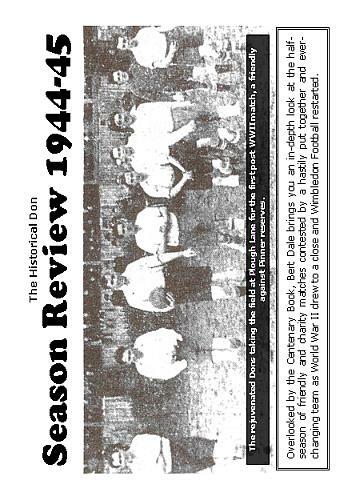 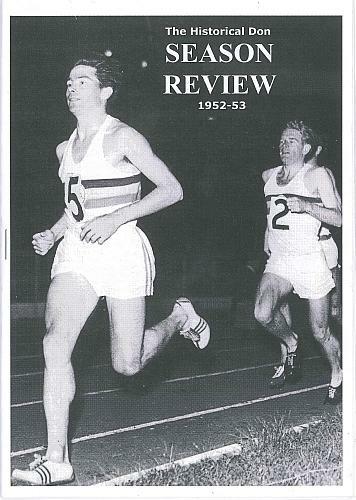 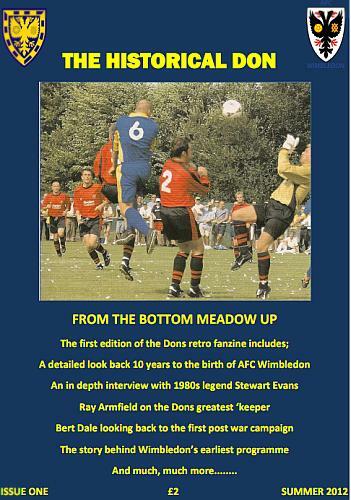 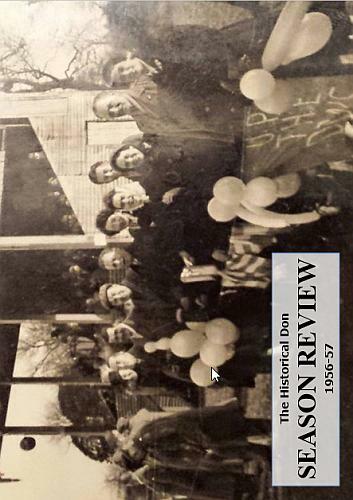 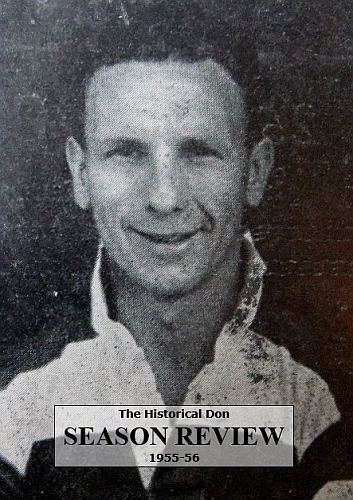 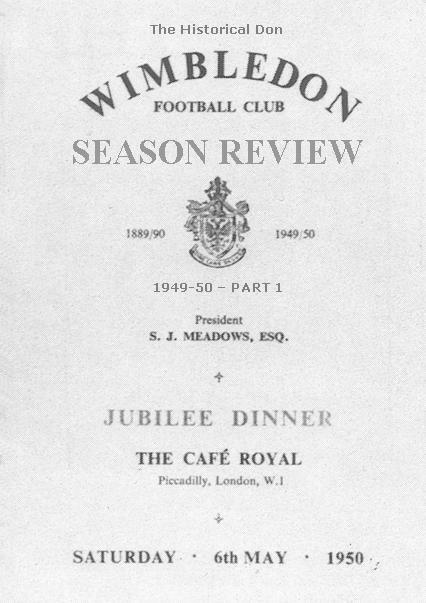 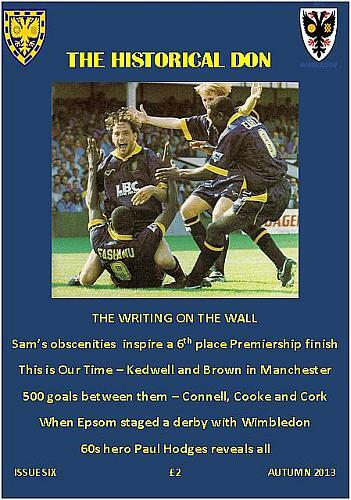 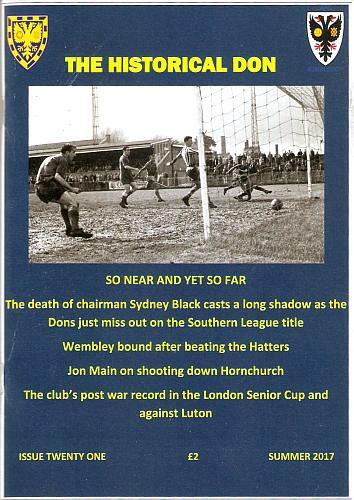 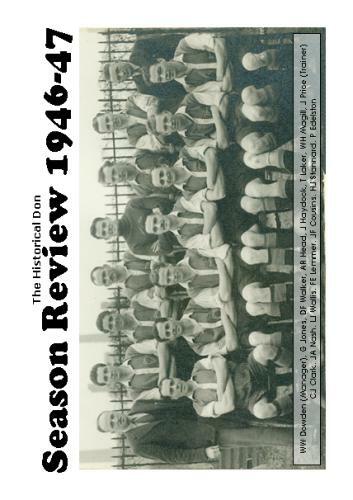 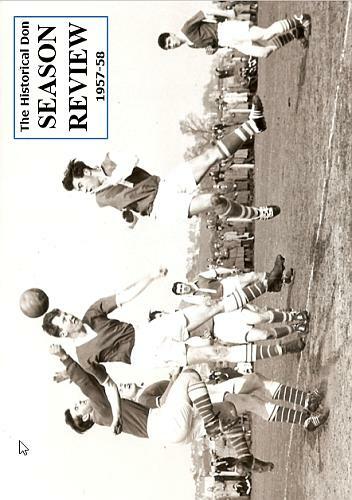 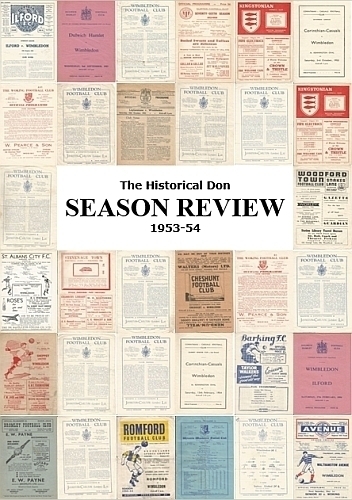 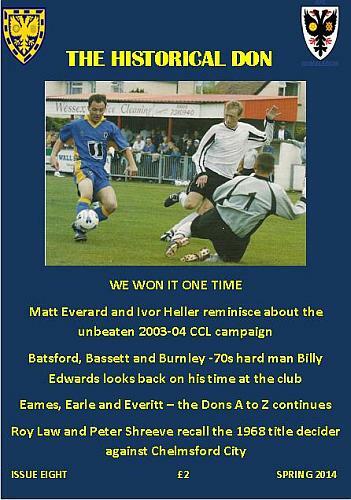 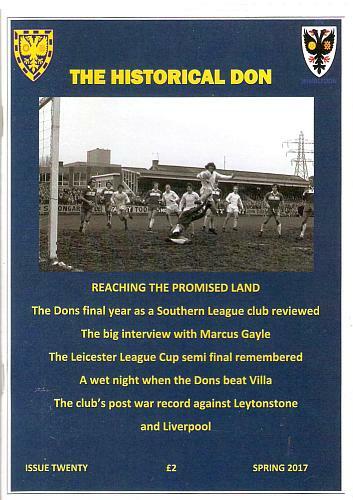 The Historical Don aims to capture the gloriously varied history of Wimbledon FC from their humble beginnings on Wimbledon Common, through their amateur years in the Athenian and Isthmian leagues, to their amazing journey to become founder members of the Premier League and their modern incarnation as AFC Wimbledon. 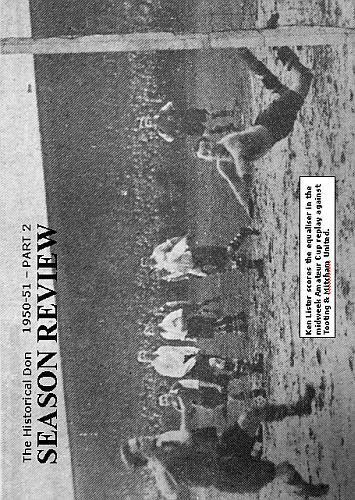 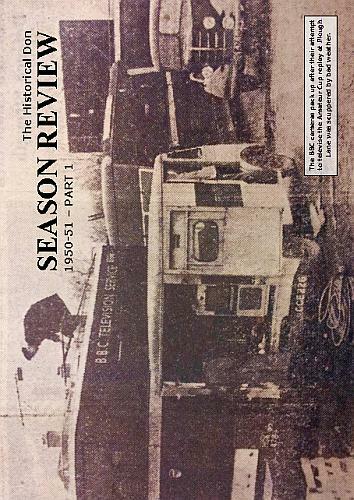 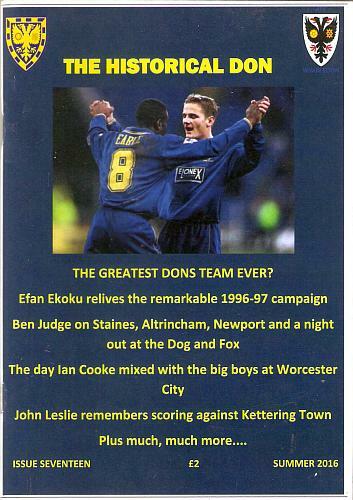 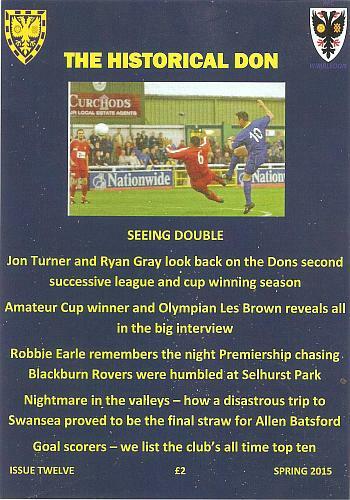 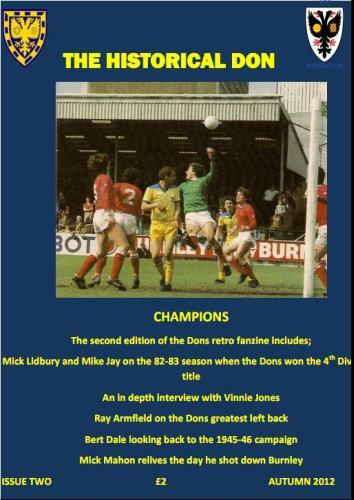 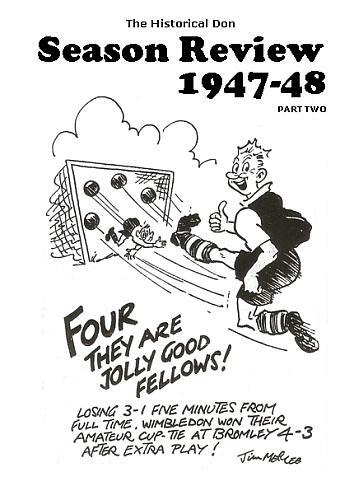 A mixture of player interviews, fan reminiscenses, memorable matches and photos from yesteryear the fanzine seeks to capture the joy and despair of following the Dons. 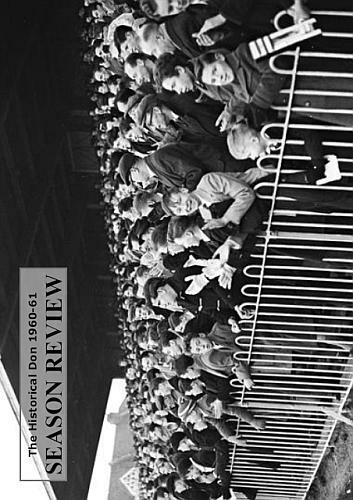 This page has been visited 237 times.